So many people come to Cape Charles on a quest for something long since past–ancestry. Many of these visitors trace their roots back to Thomas Savage, the first settler to the eastern shore. Now they are looking for more pieces to fit together in their family lineage puzzle. And that’s why they come to Cape Charles, Virginia. Just down the road from the inn sits Eastville, population 300. It’s there visitors find answers or partial answers to their ancestry questions.Others come because they love to touch a piece of American history. 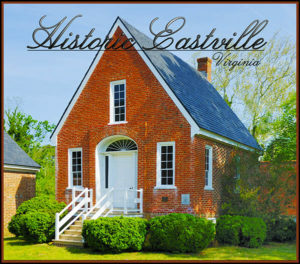 It’s a history that was saved because Eastville ignored a court summons to bring all court documents to Richmond for safekeeping during the Civil War. Richmond, as history would record, was not the safest place to store legal records. It burned down during the Civil War and all the court records with it. Because of Eastville’s defiance, it’s the only place where you will find the oldest continuous court records in America. Visitors can browse through pages of history that are hundreds of years old. And they can visit nearby historical buildings. While you’re exploring the roots of your own history, discover the rich American history that ties us all together. Top of that list is Eyre Hall. Built in 1758 on the shores of Cherrystone Creek, Eyre Hall is owned and maintained by an eighth generation descendant. It’s absolutely stunning. While the home is only open one day a year, the gardens are open to the public every day. If you are fortunate enough to tour Eyre Hall, be sure to look for the framed thank you letter from General Lafayette to General Robert Barraus Taylor. Lafayette thanks the general for his kind hospitality on his visit shortly after the end of the War of 1812. 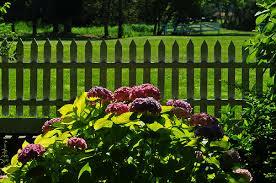 About the gardens…They are meticulously maintained and absolutely spectacular. 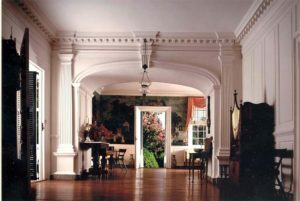 Each year, Eyre Hall is the center of Eastern Shore of Historic Virginia Garden Tour. That’s how beautiful they are. Whether you’re searching for your own history or simply enjoying the roots of American history, come and stay a few days at the Bay Haven Inn of Cape Charles. Explore your roots, the town, and the surrounding area. Use us as your home base! Book here. This entry was posted in Bay Haven Inn Experience, Events, General, Summer, Uncategorized and tagged ancestry hunt, Eastern Shore of Historic Virginia Garden Tour, Eyre Hall, Thomas Savage by admin. Bookmark the permalink.